Way back when I was working on the Digital Photography Hacks book, I came up with my favorite use for a camera phone: Use it to take pictures of parking locations in big garages so I wouldn't forget where I left my car. This became particularly useful when I found myself in a long term parking garage after being out of town for a week or more. Where the heck did I park?! All I'd have to do is check my camera phone and, there would be a picture of location I had forgotton. Shown here is a shot from the San Francisco Airport long term parking facility. Over time, however, I began to appreciate these images as interesting pictures too, and I enjoyed browsing through them on my phone when I had time to kill (such as being stuck on an airport tarmac waiting to fly out). I stopped deleting the shots from my camera phone and began saving them in an Aperture photo library. Then it dawned on me, that by encouraging others to use their camera phones to take pictures of their parking spots, I could help people find their cars and get some interesting shots from all over the world as part of the bargain. Would you like to participate? All you have to do is start taking photos of your parking locations, then log on to the Park by the Numbers gallery, and click on the "Upload" icon to add your images to the collection. Be sure to add the location in the title, and please add your copyright to the body of the post. You can also upload images directly from your cameraphone by using this email address: dstory-813z@gallery.mac.com. The "Subject" line of your email will be the title of the photo, so put the location in the subject line. Add your copyright information to the body of the email, below the photo. Then just send, and the image will be added to the gallery with all of your info. I hope you share images from the parking spots in your corner of the world -- this will be great fun. Visit the Park by the Numbers Gallery. If you're thinking about a serious flatbed scanner that can handle various sizes of negatives too, the Epson V700 and V750-M Pro are heavyweight contenders. The good folks over at Imaging Resource have been testing these units for nearly a year, and have published a comprehensive review of these Epson scanners. They're worth a look. In this week's podcast, I talk about the value of a polarizing filter for reducing reflection and deepening colors, especially in the sky. But the "world's handiest lens accessory" can also double as a neutral density filter. Most circular polarizers have two f/stops of density. That means if the normal exposure is 1/15 at f/8, the with the polarizer attached, it will be 1/15 at f/4. Sometimes this works against you putting your shot in the clutches of camera shake. But there's one instance when a polarizer is invaluable -- when you want a long exposure, such as capturing water scenes. 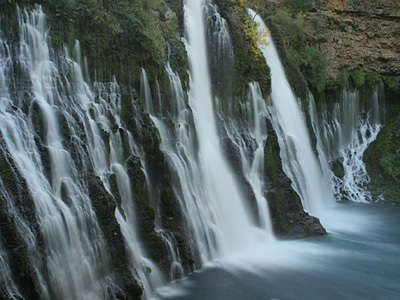 This shot of Burney Falls in Northern California was recorded with a 4-second exposure. Because the lighting was good that day, I had a hard time getting an exposure long enough to produce the effect I wanted. By putting a polarizer over the lens, I was able to reduce the shutter speed and get that dreamy look I was hoping for. Here's a trio of tempting inkjets compared: HP Photosmart Pro B9180, Canon PIXMA Pro 9500, and the Epson Stylus Photo R2400. 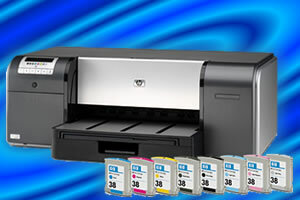 I've previously reviewed the HP B9180 and the Epson R2400. The folks over at photo-i have put together a little side by side comparison of the Epson, Canon, and HP offerings. It's an interesting approach that concludes with the HP B9180 getting a slight nod. If you're in the market for a serious, but affordable large format printer, you might want to take a look. I was recently looking at the specs for the Fui FinePix S6500 fd, a tempting advanced amateur camera that sports 6.3 megapixels, 28mm-300mm lens, Raw file capability, and face detection technology. 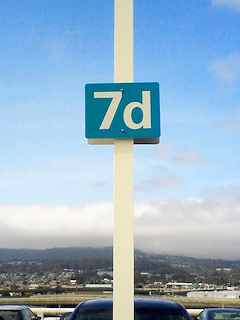 In fact, that's what the "fd" stands for in its name. Face detection was certainly the buzzword at the recent PMA show in Las Vegas. Fuji, Canon, Nikon, Pentax, and Samsung all had cameras available that could automatically identify faces in a composition, then adjust focus and exposure for them. No more misfocused shots. No more overexposed flash portraits. I dug around a bit and found a pretty good article by Jason Schneider titled, Does Face Detection Technology Really Work?. In the piece, he walks you through the theory and practice of this latest hot feature, and comes to the conclusion that yes, it indeed works. Is face detection a feature that we absolutely need right now? Not necessarily. But odds are good that it will be available next time you go camera shopping. And it is useful when you're shooting candids and don't have time use the "lock focus and recompose" technique. Face detection probably isn't the breakthrough technology that image stabilization is, but it's darn handy and will probably save thousands of candids all across the land. Right on the heels of my podcast discussing iPhoto2Gmail and Aperture2Gmail, the Google folks double the attachment size for Gmail from 10 MBs to 20. Very nice for photographers wanting to send large images to clients and friends. An interesting thread appeared recently on The Digital Story Public Group that posed the question, Are we going to make this a constructive critique site?. If you read the comments on the thread, many of our virtual camera club members are interested in having more meaningful conversations about their photos than "Wow, great shot!". I think this is a valuable discussion. From my point of view, I think those who want to have critiques about their photos, and to critique others, should have a mechanism to do so within our group. At the same time, TDS members who are just getting their feet wet with showing their images to others, may not be ready for honest critiques. if you're wondering which side of the aisle best suits you, take a look at the comments posted to this photo of mine and see how you feel about them. I think this is the level of discussion we can expect for critiques on our site. So here's the plan. If you'd like a critique on a photo you publish to The Digital Story Public Group, then simply add the tag "critique" to the image. You should already be adding the "tds" tag to our camera club photos, so adding "critique" is simple enough. 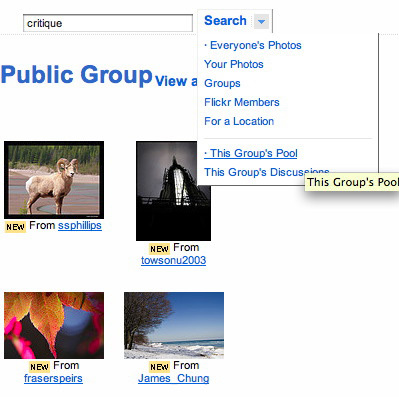 Then others can find photos that are available for critique by searching within our TDS group pool, as shown below. State the things you like about the shot as specifically as possible. So instead of saying, "Nice shot!," try "I like the way you've balanced the colors." Offer suggestions to adjust the things you don't like in the photo. Comments such as, "if you moved a little to the left, you might have a better angle on that subject" can be quite helpful. It's OK to ask questions. "What lens did you use, how did you do that B&W conversion, etc. are all legit and help others understand the creative process. Share the love. If you have some time to critique, try not to focus just on one photographer, rather; pick a photo from a few photographers and comment. If you feel that someone is abusing this opportunity, please contact me directly and include the url that contains the offending material. I have no problem pulling comments that cross the line of decency. And most importantly, if you're not ready to participate in critique, that's just fine. We want you submitting grab shots, working on photo assignments, submitting photos to the TDS pubic pool, and joining in the conversation. We welcome you at any level you're comfortable. Mac Photoshop users can automate many of the mundane processing functions using tools built right into the operating system. All you need are the scripts to make it happen. Fellow photographer and all-around good guy Ben Long has just released version 3.5 of his Photoshop Action Pack. This set of more than 80 actions includes handy tasks such as change resolution, invert, resize image, and on and on. You can use Automator to combine these actions into time-saving workflows. It's actually quite fun. Version 3.5 is fully compatible with PowerPC and Intel-based Macs. In addition to the action bundle, an assortment of sample workflows is provided. The included 71-page manual gives you a reference for all of the included actions, as well as an introduction to using Automator, and strategies for building Photoshop workflows. Scripting doesn't get any easier, or more fun, than working with Automator and these actions. The entire set is available as a donationware download. Get yours today. "Perhaps unsurprisingly there's a lot more to high ISO performance than mere numbers, and - particularly with the latest 6-10MP compacts - we believe consumers are being misled by the manufacturers when it comes to the actual performance of most cameras at higher ISO settings and in low light. So we decided to put together a short article on the truth behind those headline high ISO modes." Reading this article is time well spent. You'll learn about the relationship of noise to sensor size, high ISO modes compared, and more. It's a very comprehensive piece. Are you upgrading to Photoshop CS3, and if so when? In this week's podcast, I discuss the new version of the Bridge (2.0) and Adobe Camera Raw (4.0). Both come bundled with Photoshop CS3. My question is: Are you upgrading to CS3, and if so when? Some compelling reasons for me personally are that CS3 is Universal Binary, so it runs faster on my Intel Mac. I also like many of the new tools such as the B&W conversion function, the rewritten Brightness/Contrast control, and of course, ACR 4. The standard upgrade price in the US is $199. That's a substantial investment. Are the new tools good enough to entice you to shell out nearly $200? If you're a member of our Flickr Public Group, you can add your opinion here, or you can state your case in the Comments area of this post.